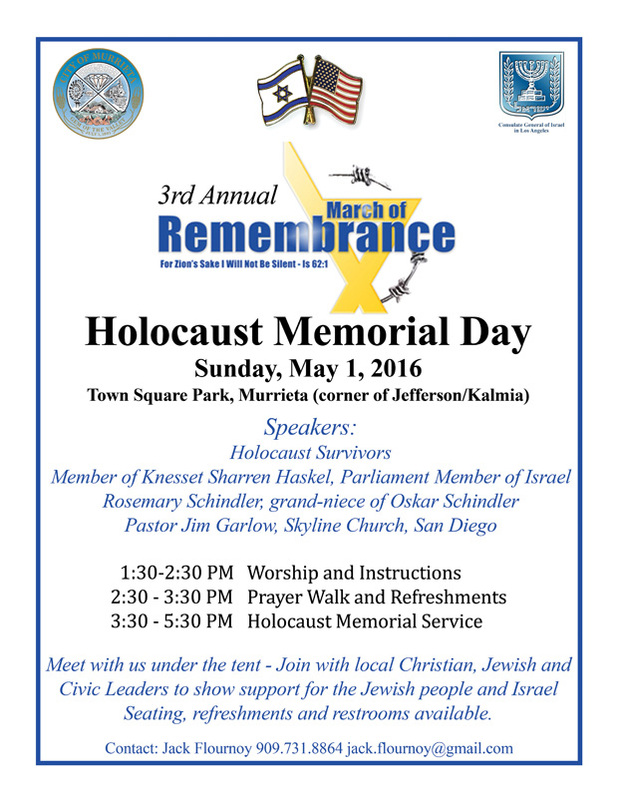 Members of the Christian and Jewish faiths and local civic leaders will join together in a March of Remembrance and memorial service in commemoration of the Holocaust. Survivors will speak to the audience in this third annual event. All are invited.